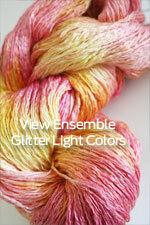 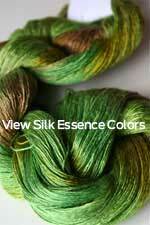 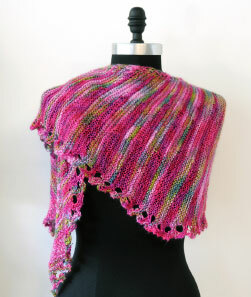 This pattern uses 1 skein of ensemble glitter light and 1 skein of silk essence. 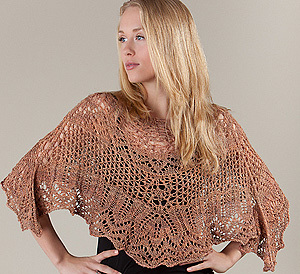 Another Beautiful Lace Pattern Kit from Artyarns! 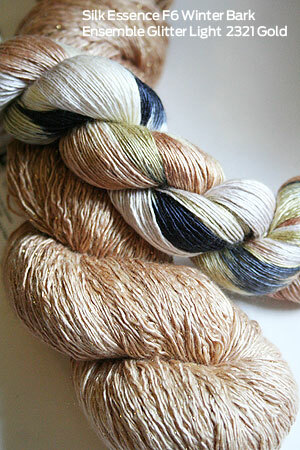 Please click on the images below to view colors for both the yarns that may be used with this kit!